Arizona State University researchers Nathan Newman and Joshua LaBaer have been named Fellows of the National Academy of Inventors, the organization announced. Election to NAI Fellow status is the highest professional accolade bestowed solely to academic inventors who have demonstrated a prolific spirit of innovation in creating or facilitating outstanding inventions that have made a tangible impact on the quality of life, economic development and welfare of society. “With this honor, Josh LaBaer and Nate Newman join the prestigious ranks of nearly 1,000 academic inventors worldwide who are recognized for scientific contributions that are having a significant impact on the world around us,” said Sethuraman Panchanathan, executive vice president of ASU Knowledge Enterprise Development and chief research and innovation officer at ASU. 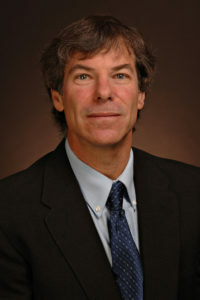 Newman serves as the Lamonte H. Lawrence Professor of Solid State Science in ASU’s Ira A. Fulton Schools of Engineering. His research focuses on the growth, characterization and modeling of novel solid state materials for microwave, photonic and high-speed applications. During the course of a prolific career, Newman has been granted 13 U.S. patents for a wide range of applications, from high-powered electronics and ultra-low-power computing to direct energy generation from a nuclear source. Most recently, Newman and his former graduate student received a patent for a method to switch microwave dielectric devices on and off. Dielectrics serve as a filter to selectively pick up specific signals while disregarding others. Once optimized, the invention has the potential to revolutionize communication and Doppler technology, improving designs of just about all microwave electronic systems such as cell phones, radar, satellite, wireless radio and more. Newman leads a team of about 25 researchers who are working to further solid state electronics and push the performance limits of materials and devices, which are of prime importance to funding agencies such as the Department of Defense and the National Security Agency. In 2018 alone, he has presented plenary, keynote and invited speeches on his recent research in Japan, Scotland, Serbia and China, among others. 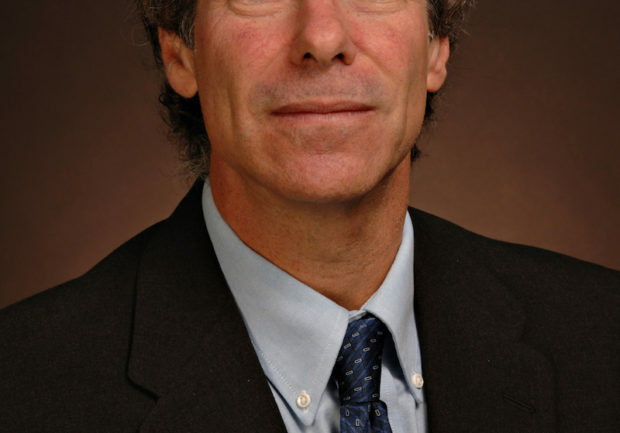 Additionally, Newman has exhibited a highly prolific spirit of innovation through his collaboration with Nobel Laureate Frank Wilczek on an initiative called the Science Hub, or “SciHub.” The team enhances people’s limited scope of perception with modern technology to improve lives. In one project, Newman and his team are developing lighting solutions to help overcome color blindness. Newman credits much of his success to his phenomenal research group, which has included more than a dozen senior research and visiting professors, several staff and dozens of graduate, undergraduate and high school students. In particular, he recognizes the hard work and determination of an extremely talented engineering associate Richard Hanley, who constructed the inventions and made all this possible. Read more on Full Circle.